Tony Bruce Jr. began his racing career in 1996 at the age of 12. 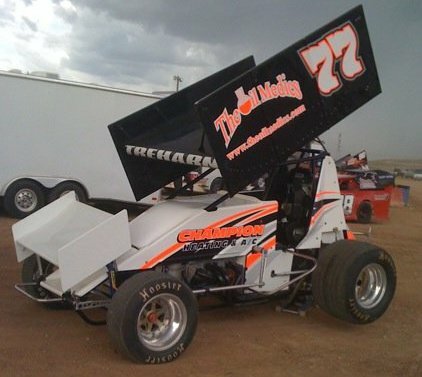 Racing a limited schedule in the Junior Sprint division, Tony posted 6 top-fives, including 3 wins, in Amarillo, Texas. Tony’s success continued into 1997 when his 7 wins and 18 top-three finishes won him the Airport Raceway Championship in Garden City, Kansas. After winning his track championship, Tony decided it was time to move into the 125cc Micro Sprint division. In 1998, the final year of his 125cc Micro Sprint career, Tony had 18 top-ten and 10 top-five finishes. Tony’s aspirations brought him to the 600cc A-Class Division in 1999, where he placed 6th in season ending points, earning him the Rookie of the Year Title. In 2000, Tony decided to add a second car and pull double duty at the Airport Raceway. At 16 years old, Tony was driving in the 600cc A-Class Division and the Multi Division. He captured 15 top-tens, 6 top-fives, and 3 wins in the combined divisions. His outstanding finishes placed him 5th and 3rd in season ending points. 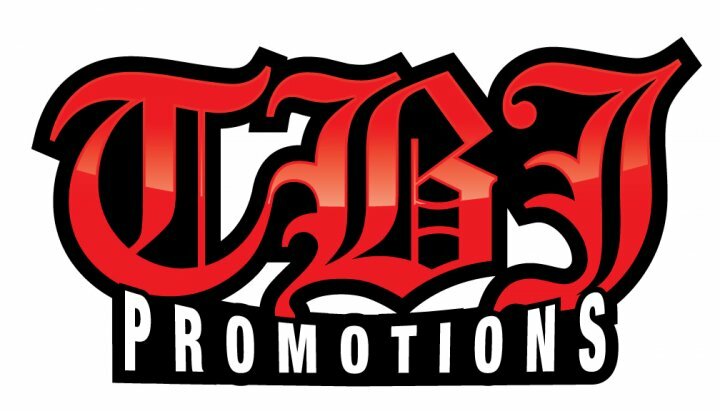 Tony also won his second Rookie of the Year Title in the Multi Division. Tony continued double duty through the 2001 season when he finished 2nd in season ending points for both divisions. After six years of racing, Tony Bruce Jr. decided in 2002 it was time for more power. 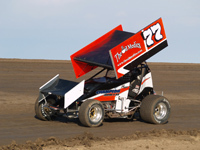 Running a limited schedule in the 360 Sprintcar, Tony impressed many spectators at the Jetmore Motorplex in Jetmore, KS, with 2 feature victories and 10 top-ten finishes. When Tony graduated from high school in 2003, he decided he was ready to travel. 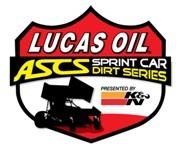 Running select ASCS Sooner and National events, Tony posted 16 top-ten finishes. After testing the ASCS waters, Tony chased the ASCS Sooner Region in 2004, ultimately winding up in a tie for third in points. And when the ASCS Sooner Region was idle, Tony was running in enough ASCS National Tour events to climb into twelfth in season ending points and earned Comp Cams Newcomer of the Year honors. 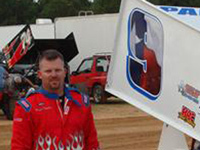 In 2005, Tony decided to pursue the ASCS National Tour full time. That year, Tony received a well-needed education in full-time racing, but he was also very successful, posting 20 top-tens and 7 top-fives for the season. The hard work paid off, as Tony found himself 4th in points at season’s end, with his third Rookie of the Year title and the honorary Sportsmanship Award. 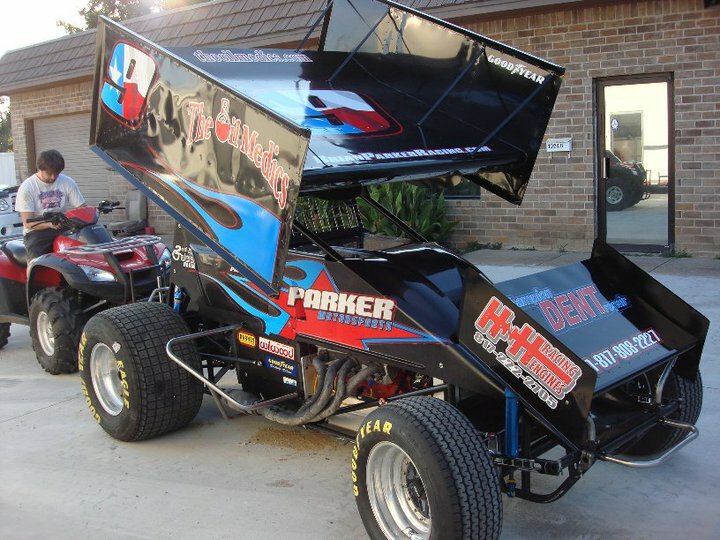 Tony’s 2006 season was unpredictable; he ran in ASCS National Tour events, NCRA 360 events and, most notably, the World of Outlaws. He excelled in ASCS National Tour action with 17 top-tens, 11 top-fives, and 2 victories for the Liberal, KS, native. 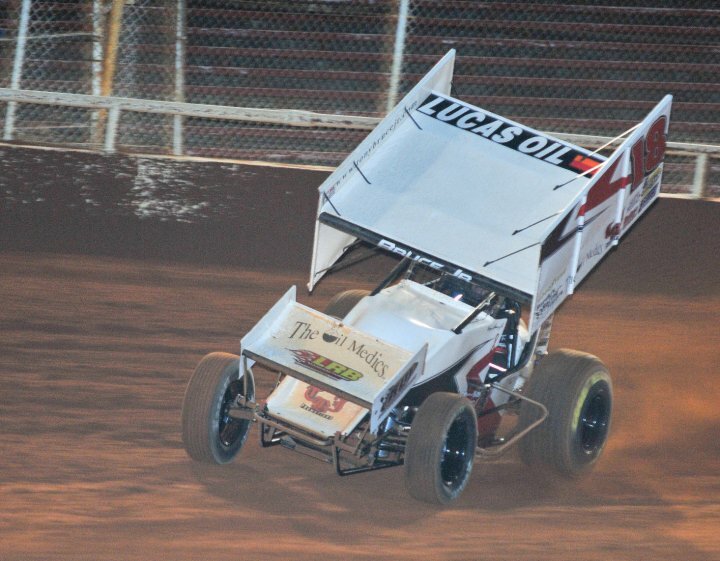 When the ASCS National Tour came to a closure, Tony finished 10th in ASCS National Tour season points. 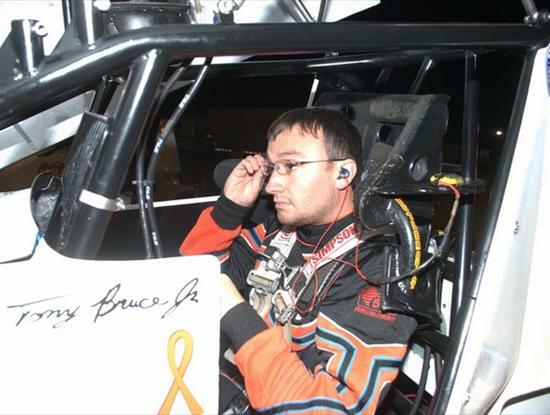 He was also named the Knoxville Nationals Rookie of the Year. 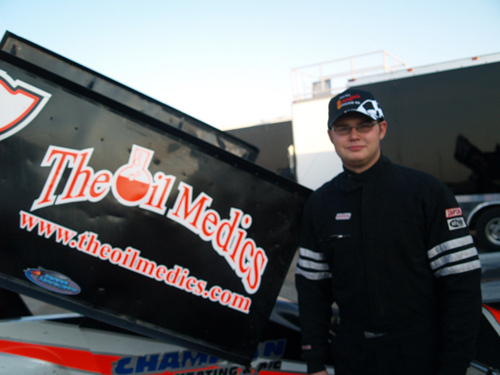 As the winter of 2006 approached, 22-year old Tony Bruce Jr. signed with The World of Outlaws for the 2007 season. 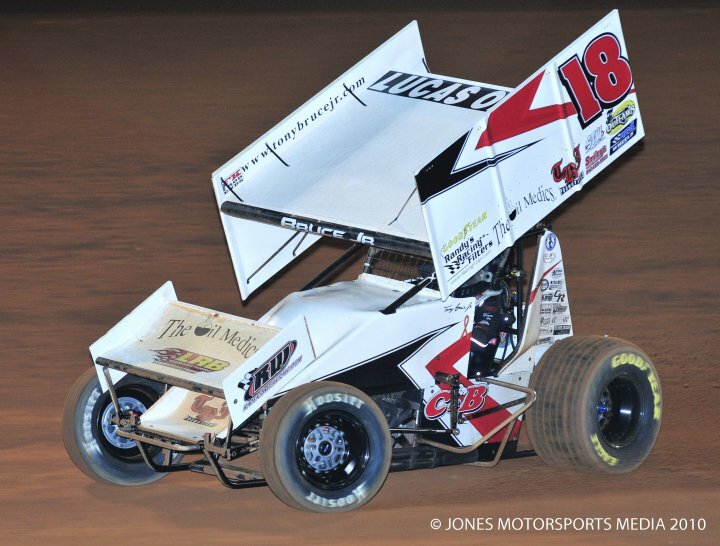 In his first full season with The World of Outlaws, Tony added 2 top-fives and 3 top-tens to his already impressive resume, including his World of Outlaws series career best 3rd place finish in the spring race at The Dirt Track @ Lowe’s Motor Speedway in Concord, NC. Tony's sophomore season with the Outlaws has proven to be just as remarkbale as his freshman season. He earned his first career World of Outlaws win on July 30, 2008 at 34 Raceway. 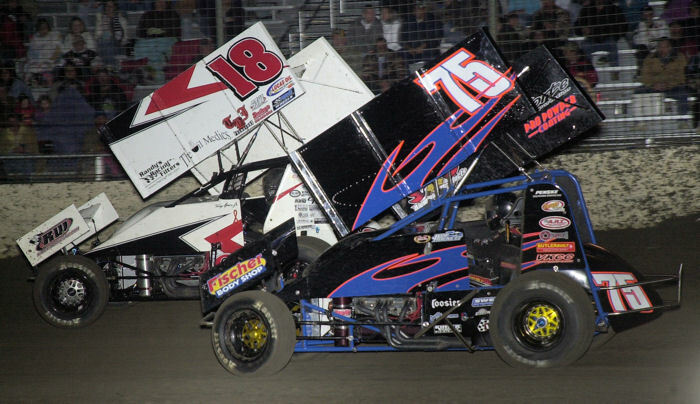 In the series' inaugural visit to 34 Raceway in West Burlington, Iowa, he led all 35 laps and picked up the win over 20-time series champion Steve Kinser. He also won the opening night of the 35th Annual Spring Nationals on March 15, 2008 at Devil's Bowl Speedway in Mesquite, Texas. Tony's added a total of four wins to his resume this year. As soon as we get Colt Treharn to fill out a bio, we will include it here. Favorite Food: If it doesn’t bark or meow, put it on a plate! I'll eat it! People assume: I am a winner and I am determined to succeed in every adventure I attempt! Philosophy on Life: You get out of life exactly what you put into it! WORK HARD, PLAY HARD, BE SMART!!! Most Memorable Moment: Racing-My first lap at the 360 Knoxville Nationals! !